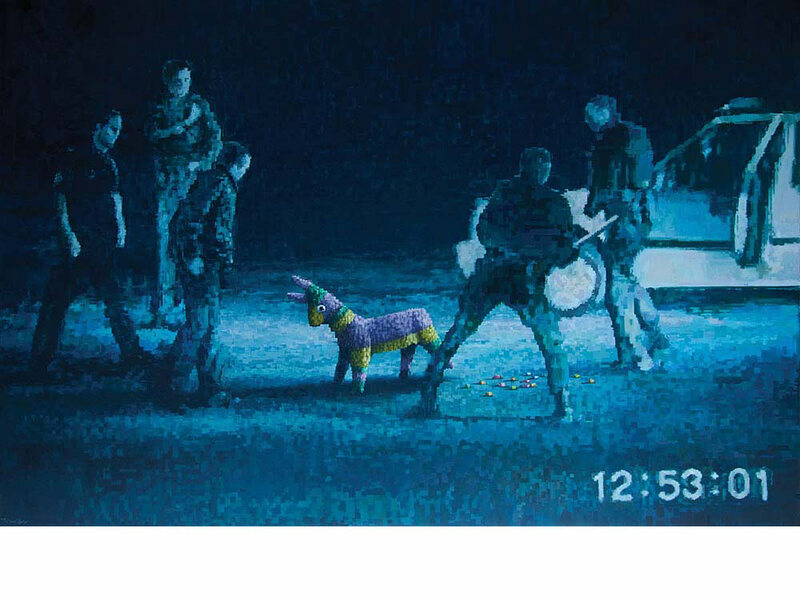 The crimes committed by police against citizens in America’s streets are becoming more and more obvious. Yesterday, in Washington DC and New York City, large crowds trying to reach a million marched in solidarity for “unjust” deaths of Michael Brown and Eric Garner. Last weekend, in Miami during the 2014 Art Basel Miami Beach, the Julia Tuttle Causeway was brought to a halt as enraged citizens marched to memorialize the unnecessary death of street artist Israel “Reefa” Hernandez. Late Tuesday, a Miami street artist lost his life after he succumbed to injuries from an earlier police chase through the famed Wynwood neighborhood. The artist died from a police car hitting his head as he crouched to hide his spray paints at street level. The message is clear – the Police are abusing their power and citizens of all walks are taking note. While Ferguson, MO and New York’s Staten Island deaths are black on white stories, many others have experienced the flagrant use and abuse of force by local police. An example of the force can be viewed in the actual Eric Garner video shown on Youtube. Unfortunately for street artists, tagging a building without a permit is graffiti. When put to good use – i.e. 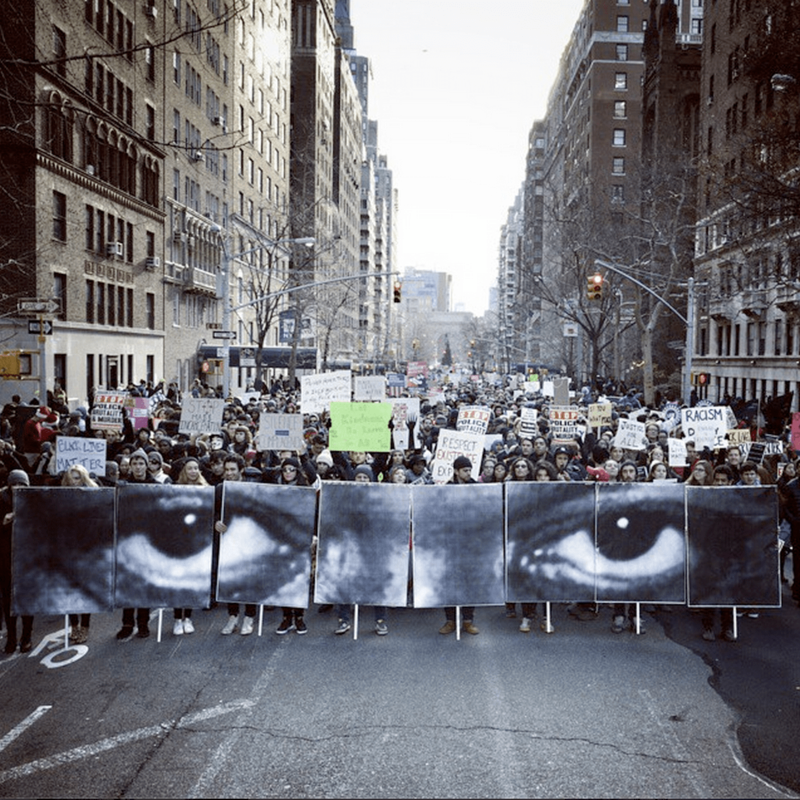 Saturday’s protest in NYC where the artist JR used the eyes of Eric Garner for the front of the march – the art is more than graffiti. And the triumph of street art routed in masters like Basquiat and Haring during the 80s to today’s Banksy, Fairey and JR is an important barometer for our society. Their symbolism and message visually represents the tension and concerns shaping most citizens of our day. Hopefully the canvas continues to be from paint rather than citizen blood. The ultimate required response though is that citizens hold their lawmakers accountable for blatant and obvious abuse of power.